Characteristics –Size: Up to 5/8-inch long. Appearance: Varies from black, brown and black, red and black, to light brown depending on the species.The two most common pest species are black in color. 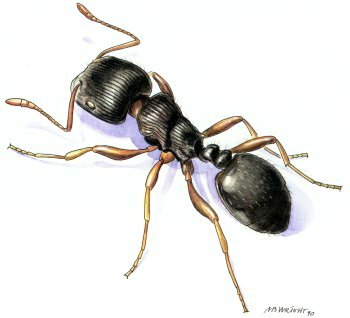 Behavior: Carpenter ants feed on a wide variety of foods, especially other insects. The favored food of adults is the sweet honeydew produced by plant-feeding insects, such as aphids, scales, and mealy bugs. In the spring, mature colonies produce winged reproductive ants, called swarmers, that fly out to start new colonies. These swarms often occur from satellite colonies within homes, so homeowners may see large flying ants in their homes at night. 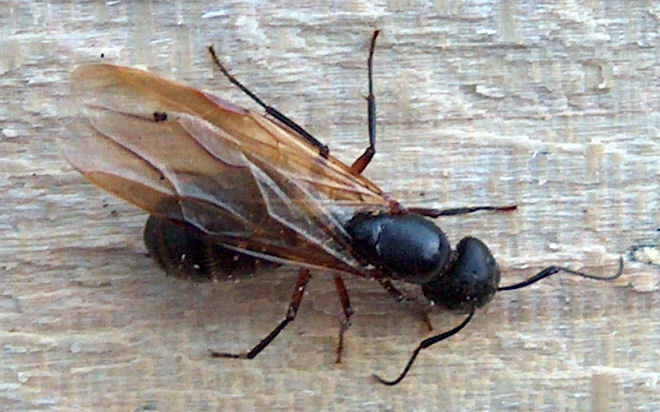 Carpenter ants can be very difficult to control, so most homeowners employ the services of a professional company such as Sound Shore Pest Control. 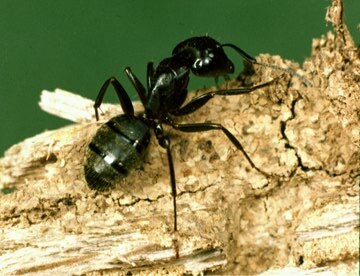 Habitat – Carpenter ants are the most common pest ant seen in homes throughout the northern United States. The main colony must have a constant source of moisture to survive, so it is usually located in dead wood outside. This includes dead limbs, tree holes, stumps, landscape timbers, and so forth. Indoors, a main colony will have to be associated with a water leak or an overly wet, poorly ventilated crawl space or attic.The main colony may establish satellite colonies that are the primary source of ant activity inside homes.These satellite colonies may be located in any suitable void (e.g., hollow doors, curtain rods, shower rods), under attic insulation, etc.These ants set up trunk trails between the main colony to satellite colonies and between satellite colonies. Foraging ants can most easily be seen along these trunk trails at night when the ants are most active. Sometimes, the trunk trails occur beneath the ground following tree roots. Tips for Control – Successfully controlling carpenter ants requires certain skills, knowledge and experience. Carpenter ant control involves tracking down and treating as many satellite colonies as possible inside and outside of the home as well as attempting to find and treat the parent colony. Accessing the parent colony may be difficult because it might be located high in a tree or on a neighboring property. In such cases, your service professional may use carpenter ant baits, but these may have varying results because of the carpenter ants' finicky feeding habits. If conditions on your property (such as a large number of trees) create a high risk for reinfestation, your service professional may recommend regular pest management services to help prevent new infestations. Characteristics –Size: About 1/8-inch long. Pavement ants are regular pests of buildings throughout the northeast to the mid western United States. This ant is also found along the West Coast from California to Washington. Behavior – Individual pavement colonies can often be controlled using ant baits, but perimeter inspection and treatment are commonly necessary for long-term relief. Habitat – This ant's name is derived from its preference for nesting in soil next to and beneath slabs, sidewalks, patios, and driveways. Colonies are usually easy to find due to the piles of displaced soil next to and on top of pavement. Indoors, pavement ants nest under the foundation and within hollow block foundation walls. Occasionally, a colony may carry soil up into a wall to form a nest. When piles of soil appear from under baseboards or on top of a basement or garage floor, it is a good sign that pavement ants may be present. Seal cracks and holes in the exterior of the home to prevent ants and other pests from entering. Keep vegetation cut away from the foundation of the home. Avoid using items such as stones and landscape timbers next to the home's foundation. Pavement ants nesting under these items are likely to infest the home. Keep layers of mulch in landscape beds less than two inches thick and at least 12 inches away from the foundation. Characteristics –Size: About 1/2-inch in length. It is recognized by the two dark, longitudinal stripes on the "shield" at the front of the body under which the head is located. Behavior – The German cockroach is the most prolific breeder among all cockroaches. Each egg capsule can contain up to 40 eggs and development from egg to adult can occur in as little as 45 days. Like all cockroaches, it is omnivorous and will eat virtually anything people will and many things we won't. Habitat – In homes, this pest will first locate itself in bathrooms and the kitchen, as close as possible to food and moisture sources. It spends about 80 percent of its time resting in cracks and voids. Characteristics –Size: Varies, though usually no larger than 1-1/2 inches in length. Appearance: Generally black or brown. Crickets are easily recognizable to most people. They are typically thick and square in shape with enlarged back legs designed for jumping. Camel crickets range from tan to brown in color and are characterized by the severely humped thorax. They have very long rear legs and long, thin antennae. 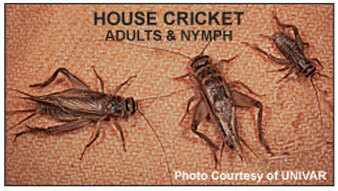 Behavior – Crickets generally live and breed outdoors and invade buildings searching for food, moisture, or shelter. The adults are attracted to bright lights on buildings and may fly to homes and other buildings by the dozens or even hundreds (in mid- to late summer). Once near the building, crickets will crawl through any crack or hole that allows them access inside. These insects have been known to feed on and damage clothing, usually items that are soiled and awaiting laundering. Camel crickets do live and breed indoors, usually in a crawl space, cellar or basement. They occasionally wander up into the living areas of the home where their quick jumping ability can startle the unwary person. Camel crickets may also invade homes from wood piles and similar areas outside. Habitat – The natural habitat of crickets is a field or wooded area. Near buildings, they will be found living among tall weeds and heavy vegetation (e.g., ivy), under boards, stones and other items, and in piles of lumber, firewood, or debris. Store firewood away from the home and off the ground. Dispose of piles of lumber or store such items off the ground. Clean up piles of leaf litter and clean up any debris that could provide shelter. Remove any heavy ground cover in landscaping within 10 feet of the building. Install yellow "bug" light bulbs in outdoor fixtures to attract as few crickets as possible. Seal as many exterior cracks and holes as possible in the outside walls. Improve crawl space ventilation to make the subspace less attractive to camel crickets. Characteristics –Size: Larger rodents that may grow to a body length of 10 to 12 inches. Seldom will a rat weigh more than one pound. Appearance: Can vary from gray to brown to black. 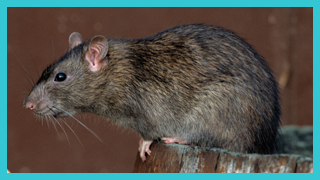 Norway rats, found throughout the U.S., have a heavier body, smaller eyes and ears, and a shorter tail. Rats are more prevalent in urban and rural areas, and are found in homes less often than mice because of their larger size. Behavior – Few people really like rats or mice, and no one wants them in their house. Rodents live everywhere outside and could enter at any time, but fortunately, this does not occur often. Usually, most home invasions occur in the fall, not because of cooler weather, but because the seeds and plants on which rodents feed outside are gone. Rats and mice must then seek new food sources. Unfortunately, one of these sources may be your home. Rats are excellent climbers and are capable of gaining entry through holes around soffit vents and around cables entering the building, through holes in gable vent screens, and through turbine and box vents on roofs. Many garage doors on homes allow enough space for rats to fit underneath, as well. Habitat – Outside, rats live in fields, wooded areas, vacant lots, farms, and just about anywhere people have buildings. Rats are seldom a problem in homes except in urban and rural areas. This is due in large part to their size, since rats need a hole about the size of a quarter in order to gain entry into a building. Rats however, may find harborage in many areas around the home - especially in stacked firewood, stones and bricks, and piles of leaves or other debris. Keep firewood stored as far from the home as possible and store it off the ground. During the winter, store only enough wood next to the house to burn every couple of days. If possible, remove any piles of debris, stones, bricks, etc. If these are near the foundation of the home they serve as harborages to attract rodents. Once there, it is any easy step for rodents to enter the building itself. Characteristics –Size: Body is up to 4 inches in length. Appearance: This species has several closely related cousins that are colored similarly. All species are bicolored -- the top is light brown to red-brown and the feet and underbelly are pure white. The deer mouse has a tail that is covered with short, fine hairs. 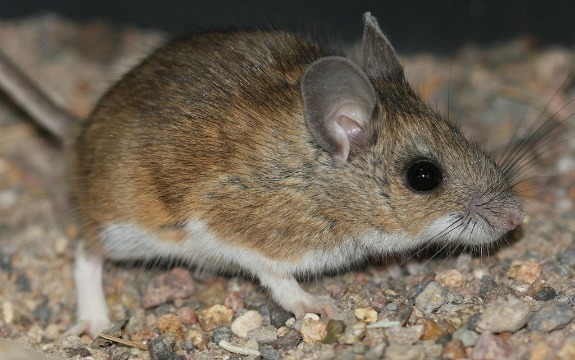 Behavior – Unlike the house mouse, the deer mouse is not found in cities but is associated more with rural areas and buildings located in or near wooded areas. It does not commonly invade homes, but in rare instances one or more deer mice may invade a particular building. The deer mouse is a medically important species because it carries the hantavirus. This virus can result in serious, often fatal, respiratory disease in humans. Cases of hantavirus are rare -- only about 300-400 cases have been documented in the past nine years, and most have been in the Western United States. 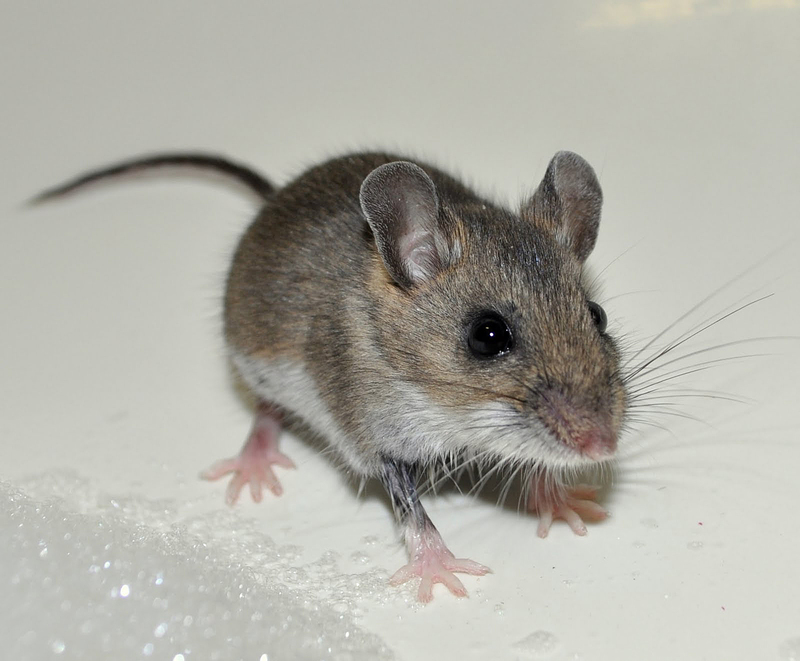 The hantavirus can be contracted in a number of ways: by handling dead, infected deer mouse carcasses; by breathing in mouse-urine-laden dust particles that contain the virus; or by inhaling dust from areas of accumulated deer mouse droppings. You should avoid any area where infected deer mice have frequented unless wearing proper protective gear. Habitat – Deer mice prefer the outdoors where they nest in tree holes, hollow logs, under logs and in piles of stones, branches or logs. If inside, they are most often found in areas of a home where the least human activity occurs, such as attics, garages, basements and crawl spaces. Tips for Control – If you live in an area where deer mice have been seen or could be present, it may be prudent and desirable to hire an experienced professional to control the mice. Never sweep or vacuum mouse droppings and dust or debris in mouse activity areas. Wear a respirator equipped with a High Efficiency Purifying Air (HEPA) filter as well as unvented protective goggles, and impermeable latex or rubber gloves. Soak mouse droppings and dusty areas with an EPA-registered disinfectant then wipe up with paper towels. Place the soiled towels in a sealed plastic bag and dispose in an outdoor trash receptacle. Characteristics –Size: Most found around buildings rarely measure longer than 2 inches. In Texas and the desert southwest, however, a couple of species can measure 6 inches or longer and may wander into homes and other buildings. Appearance: Varies depending on the species. Most are brownish or orange-brown. The large Texas species has a bluish-black body, orange-red head and yellow legs. Behavior – Centipedes are predators that live in moist areas. These nocturnal creatures hunt down insects and spiders at night. Centipedes are distinguished from millipedes in that they have only one pair of legs per body segment, while millipedes have two pairs of legs per body segment. 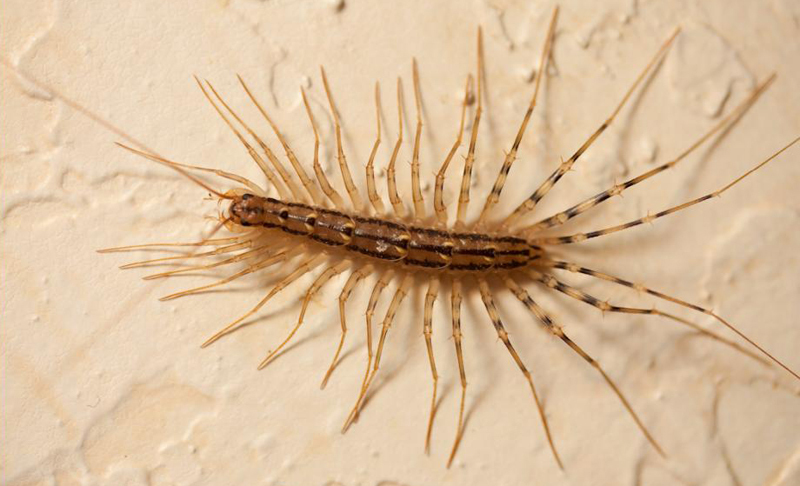 They are seldom seen inside homes, except for the house centipede which may breed in crawl spaces and basements. The house centipede is recognized by its extremely long legs. Habitat – Outdoors, centipedes keep to moist, protected areas such as landscape mulch and beneath items in contact with the soil. Indoors, they will usually be seen near baseboards and around doorways and windows. The house centipede may be observed wandering on walls in crawl spaces, basements, garages, and sometimes in other rooms of a house. Sealing cracks and holes in the home s exterior should help prevent centipedes from entering. Mulch and heavy vegetation, such as ivy, should be kept away from the foundation to reduce the number of centipedes and their food supply. Characteristics –Size: Small, its body rarely exceeding 3 inches long and one ounce in weight. Appearance: Usually gray in color, but some may appear darker. Mice are more numerous than rats and are more widespread throughout urban and suburban communities. A mouse can be distinguished from a young rat since the rat's head and feet will be overly large in relation to its body. Behavior – Few people really like rats or mice, and no one wants them in their house. Rodents live everywhere outside and could enter at any time, but fortunately, this does not occur often. Usually, most home invasions occur in the fall, not because of cooler weather, but because the seeds and plants on which rodents feed outside are gone. Rats and mice must then seek new food sources. Unfortunately, one of these sources may be your home. Mice are excellent climbers and are capable of gaining entry through holes around soffit vents and around cables entering the building, through holes in gable vent screens, and through turbine and box vents on roofs. Most garage doors on homes allow enough space for mice to fit underneath, as well. Habitat – Mice are found in almost every part of the country from urban to rural areas, and are especially prevalent in urban and suburban communities. Mice are found in buildings more often than rats because they are smaller and are able to find more available entryways into a building. Mice can fit through a crack or hole 1/4 of an inch or larger - or about the width of a pencil. Mice will make their nests in many areas in and around the home, especially in stacked firewood, stones and bricks, and piles of leaves or other debris. Do not allow piles of leaves to accumulate next to the home s foundation. This also serves as attractive harborage for rodents - mice in particular. Characteristics –Size: Small, elongated, triangular insects, usually between 1/2-inch and one inch in length. Appearance: Typically a shiny gray or silver. They have three characteristic long, thin appendages extending from the rear of the abdomen. Behavior – Silverfish feed on fungal molds and organic matter. They will damage natural fabrics, paper and book bindings. Treatment of cracks and voids as well as attic and crawl spaces is necessary to minimize silverfish. This pest, however, is one of the most difficult insects to totally eliminate even for a professional company. Habitat – Silverfish live in cracks and voids and are commonly found in larger numbers in attics, basements, and crawl spaces. They are also common outdoors in southern states. Homes with cedar shake roofs seem to experience more serious infestations of silverfish. This may be due to the additional molds that form on this type of shingle. More available food results in more silverfish. Inside, silverfish will be seen occasionally or on a regular basis in kitchens, bathrooms, and other rooms. Voids where plumbing is located. Molding around windows and doorways. The attic, crawl space and basement. Characteristics –Size: Generally small, about two inches or less in length. Some forest species in the southeastern United States may grow to four or more inches. Habitat – Outdoors, millipedes are found in leaf litter, landscape mulch, lawns, and under items in contact with the ground. 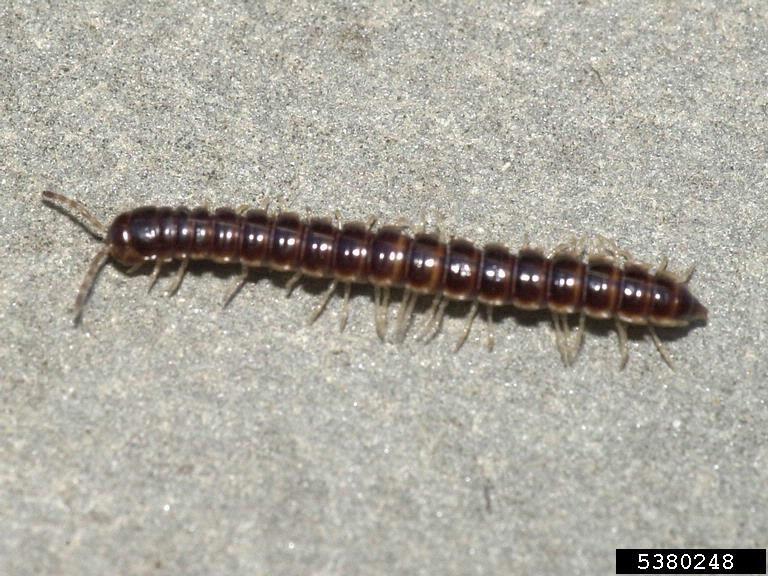 Indoors, millipedes may survive in moist areas of garages, crawl spaces, and basements. Reduce potential breeding sites and harborages next to and near the building. Keep mulch and heavy vegetation, such as ivy, away from the foundation. Seal cracks and holes in the home s exterior to prevent millipedes from entering. Millipede migrations require repeated treatments to the exterior and to cracks in the outside of the affected building. Determine the area where millipedes are originating and remove the material in which they are breeding (e.g., leaf litter, mulch), if possible. Remember that total elimination of millipedes indoors may be impossible - especially when huge numbers are involved. Professional treatment, sealing cracks and holes, and removing breeding material should greatly reduce the numbers of millipedes. Characteristics –Size: Usually about 1/4-inch in length and round in shape. Appearance: Many colors, but wings are usually red or orange. The number of spots present will vary or the wings may have no spots at all. Behavior – A number of insects have discovered that heated buildings are ideal for surviving the cold of winter. Such pests include ladybugs, box elder bugs and cluster flies. As the weather cools in late summer and early fall, the sun warms the southern and western walls of buildings. The warmth attracts these insects to buildings where they crawl inside cracks and stay there for the winter. This would be fine, but during warm winter days, some insects "wake up" and end up on the inside of the building. 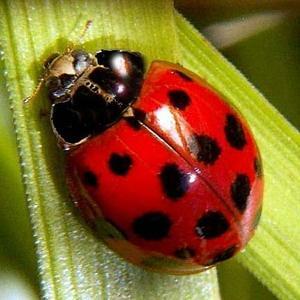 Habitat – Ladybugs are predators of aphids and other plant pests so they may be found on a wide variety of plants outside. Seal as many cracks and holes on the outside of the home as possible, especially on the south and west walls where the sun heats the home during the late summer and fall. Be sure that all foundation and attic vents have tight-fitting screens. Check the soffit vents and any gable vents or turbine vents on the roof. Have your Sound Shore Pest Control professional treat the outside west and south walls of the home near the eaves. This treatment should be completed in mid- to late August. Characteristics –Size: About one inch long. This insect can be recognized by the forceps-like cerci extending from the rear of its abdomen. On males, the forceps can be quite large and ornate. Behavior – Earwigs are omnivores that will catch and eat other insects. Long-term relief from these insects is achieved by finding and treating the harborages outside from which the home will be invaded. The experience of a professional company such as Sound Shore Pest Control is helpful in situations where large numbers of earwigs are present. 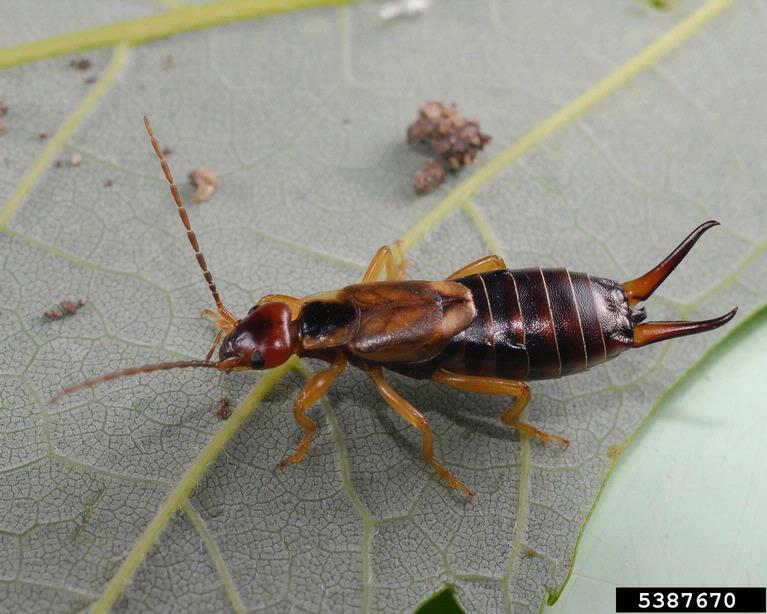 Habitat – The European earwig is common in the eastern United States west to Illinois and is found in Oregon and Washington. 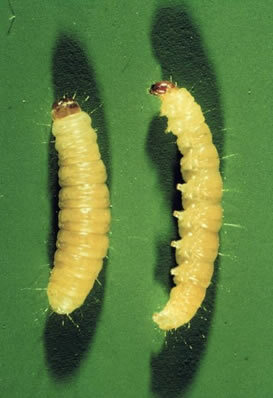 These insects live together often in large numbers in tree holes, in landscape mulch, under landscape timbers, and under objects lying on the ground. They will also harbor in the exterior cracks of buildings from which they may wander inside. 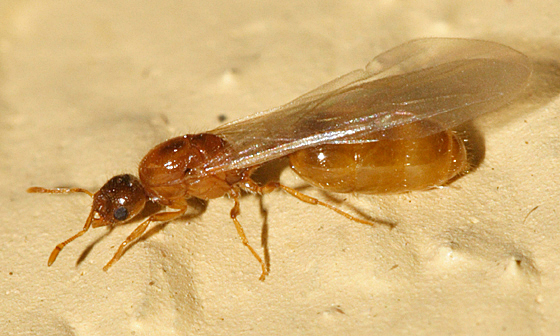 Characteristics –Size: Workers of this species measure about 1/4-inch in length. Two closely related species are smaller. The winged females and males that swarm to start new colonies may measure up to 5/8-inch and 3/8-inch, respectively. Appearance: Citronella ants and their relatives are golden yellow in color. The winged female swarmers are also golden yellow while the winged males are black. Behavior – The citronella ant is actually named the "large yellow ant," but it derives its nickname from the strong citronella odor emitted from its body. These ants are subterranean in nature. They feed on the honeydew produced by subterranean aphids and mealy bugs, which feed on the roots of trees and other plants. 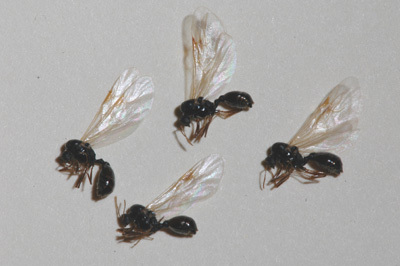 The workers are not seen foraging in homes and buildings; rather it is the winged reproductives, called swarmers, that enter buildings in early- to mid-spring. These males and females enter the home from cracks in the foundation or through sub slab heating ducts. The sudden appearance of hundreds of these swarmers is often disconcerting to homeowners. The swarmers also have the strong, characteristic citronella odor. Habitat – Citronella ants locate their colonies within the soil under items such as stones, logs and landscape timbers. They also may be found in the soil under mulch next to building foundations, or they may locate colonies in soil underneath slab floors and in crawl spaces. Tips for Control – Colonies do not require control unless the swarmers are entering the home or building. Even then, treatment may not be possible because it is difficult to know exactly where the colony is located under the foundation. Sealing the cracks in the floor where the swarmers enter may stop the swarm from entering a home or building, but the ants may find other cracks. Any treatment will involve drilling and treating beneath the slab, thus requiring the services of an experienced professional. Characteristics –Size: Up to 2 inches long. 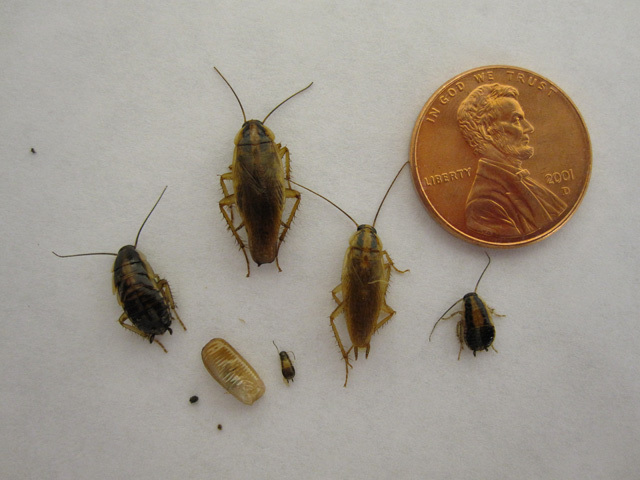 The American cockroach is the largest cockroach that infests buildings in the United States. This insect may be recognized by a yellow "figure-8" pattern on the shield at the front of its body. 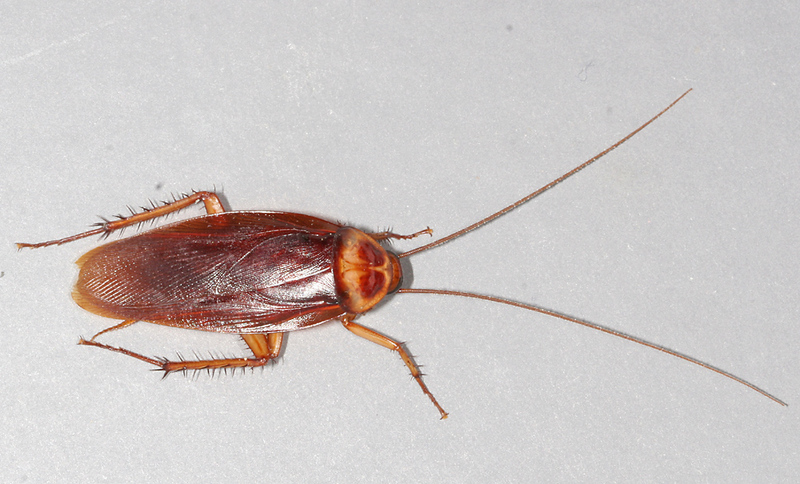 In Florida, the American cockroach is called the "palmetto bug," and it has the nickname "water bug" throughout the United States. Behavior – Like all cockroaches, it is omnivorous and will eat virtually anything people will and many things we won't. Habitat – This cockroach thrives in warm, damp environments, such as sewers, steam tunnels, basements, crawl spaces, and boiler rooms. In southern states, it will also be found living and breeding outdoors. Tips for Control – The key to control is to find and treat these sources directly. In many cases, the services of a professional company, such as Sound Shore Pest Control, are required to achieve long-term relief. In southern states where this cockroach lives outdoors, successful control involves treating the attic, crawl space, and exterior cracks in the home and finding and treating likely cockroach harborages over the entire property. Size: Worker: 1/8- to 3/8-inch in length. Soldier: Body is similar to that of the worker, but large, deck head with powerful mandibles. Supplementary Reproductive: About one inch in length. Primary Reproductive: About one inch in length. Appearance: Worker: Pale, cream colored. Soldier: Light colored with brown head. Supplementary Reproductive: Light colored. Primary Reproductive: Dark brown/black. Soldiers have an elongated head with pincer-like mandibles. Supplementary Reproductives have either no wings or very short non-functional wings, while Primary Reproductives have four wings of equal size until they are shed. Primary Reproductives are the termites most often seen in the open. They are commonly referred to as "swarmers." 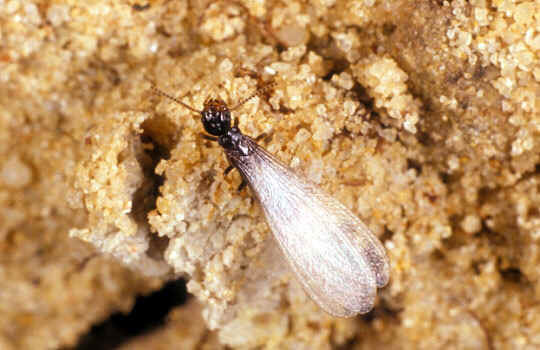 Behavior – This termite is known to swarm in spring, but small flights can occur at any time of the year. Swarming is the visible means that termites use to establish new colonies. As the colony grows, specialized castes are produced for the different tasks required. One caste produced is the workers. Another caste is the soldiers. And a third caste is the reproductives. Primary reproductives swarm and start new colonies. They are called alates or swarmers. Although thousands of primary reproductives may be produced each year, they all leave the nest. Supplementary reproductives, on the other hand, can become reproductive only in the colonies in which they were born. They assist the primary king and queen in population growth of the colony. Habitat – Subterranean termites live in colonies in the ground, building vertical tunnels that look like mud tubes above ground level so that they can search for food. Because subterranean termites will die if exposed to air for an extended period of time, the tunnels provide protection from the open air, allowing workers to carry food to the nest. Subterranean termites can form tunnels through cracks in concrete, so slab homes are not exempt from these termites. They need to stay in contact with the soil in order to survive, unlike drywood termites that only need low moisture. Tips for Control – There are several things a homeowner can do which can help prevent termite infestations or make them easier to detect. Make sure at least four inches of the foundation can be seen all around the home. Siding should not extend into the soil. Mulch and soil should not touch the siding. Make sure water drains away from the foundation to ensure water does not accumulation. Rain gutters are ideal; however, the downspout should direct the water away from the home. Roof or plumbing leaks can allow termites to survive above ground in a house. These should be corrected as soon as possible. SIZE: About 3/8 inch (10mm) long at rest; wing spread is about 5/8 inch (14mm). DESCRIPTION: When at rest the wings are folded together along the line of the body. The front half of the forewings is a grayish-white color, and the lower half is a rusty red-brown color. HABITAT: The adult moths usually fly at night and lay eggs on food such as grain, dried food, and especially pet food. LIFE CYCLE: The life cycle and habits of this pantry pest is similar to other moths infesting stored products. Eggs are laid on or near the food. A female moth may deposit from 40 to 350 eggs. After hatching, the small catapillers begin spinning silken threads in the infested food material. They feed for about two weeks before becoming full grown. They crawl up to the surface of the food material or often up walls and pupate within a cocoon. The adult emerges in about 30 days. The entire cycle requires about six weeks and there are from 4-6 generations per year. 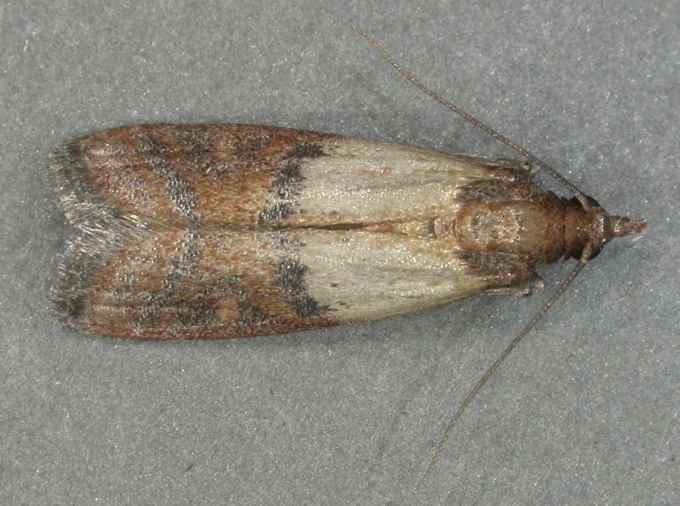 TYPE OF DAMAGE: The Indian meal moth is one of the most common and troublesome of the moths infesting stored products. The caterpillar stage of this insect will feed on a variety of grains, meal, breakfast foods, dried nuts, seeds, chocolate, powdered milk, and especially dry pet foods. Infested material may be more or less webbed together. Small two-colored moths (gray and reddish-brown) will also be seen flying about the infested area. CONTROL: The key to control is to find and treat these sources directly. In many cases, the services of a professional company, such as Sound Shore Pest Control, are required to achieve effective control. INTERESTING FACTS: Adults fly in a zigzag fashion if disturbed during the day. Their lifespan is one to two weeks. Bedbugs (Cimex lectularius) are small, wingless insects found all over the world. They are nocturnal parasites, which means they rest during the day and are active at night feeding on the blood of humans. Bedbugs prefer to hide in bedding and on mattresses where they have ready access to a source of food. Bedbugs have highly developed mouth parts that can pierce skin. Their bite is painless but becomes itchy and swells into a reddened wheal. Unlike the random pattern of bites made by mosquitoes, bedbugs tend to leave orderly rows. Although bedbugs can harbor diseases in their bodies, transmission to humans is considered highly unlikely. For this reason they are not considered dangerous, unless a person is allergic to them. However their presence can be distressing and their bites can be highly irritating. Susceptible to extremes of temperature. Bedbugs live exclusively on blood. They prefer human blood but will feed on other mammals if necessary. Bedbugs are attracted to body heat and the carbon dioxide in expired air, which is how they find their host. Bedbugs commonly target the shoulders and arms. During feeding, the bedbug's proboscis (feeding organ) swings forwards and downward to pierce the skin of the victim. Saliva (containing an anticoagulant) is then injected, which is the cause of an allergic reaction in some people. Bedbugs take around five to 10 minutes to feed. As the bedbug engorges with blood, its coloring changes from light brown to rust–red. Mattresses, particularly along the seams. Bedding such as sheets and blankets. 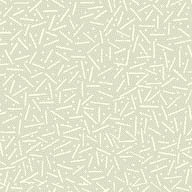 Beneath loosened edges of wallpaper. Between the cracks of wooden floors. In wall cracks or crevices. Furniture, particularly in seams and cracks. Bedbugs often hide in luggage, clothing, bedding and furniture. They are most often found in dwellings with a high rate of occupant turnover such as hotels, motels, hostels, shelters and apartment complexes. Any household can be invaded by bedbugs, but high standards of hygiene can discourage bedbugs from spreading widely throughout a home. The bedbugs themselves, although due to their size they are often hard to see. Small bloodstains from crushed bugs on sheets or mattresses. Rusty or dark spots of bug excrement on mattresses, bedding and walls. An offensive, sweet, musty odor from their scent glands which may be detected when infestations are severe. In general, bedbugs enter your home in luggage, or on secondhand items such as bedding and furniture. Taking care with these items, in addition to high standards of hygiene and housekeeping, should help to minimize the chance of an infestation in your home. Small loss of skin tissue in some cases. Bedbugs are not known to transmit any blood-borne diseases. However the bites can be itchy and distressing. Resist the urge to scratch. Use calamine lotion or anesthetic creams to treat the itching. Wash the bites with antiseptic soap to reduce the risk of infection. Apply an icepack frequently to help relieve swelling. Take pain-killing medication if symptoms are severe. See your doctor if the bite develops an infection. High standards of hygiene and housekeeping alone are unlikely to control an infestation. However keeping a house clean will reveal the presence of bedbugs at an early stage, making control easier and reducing the chance of widespread infestation. Thoroughly wash, vacuum or clean all surfaces and bedding. Wash bedding and affected clothing where possible, using hot water. Dry in a clothes drier on a hot setting. Vacuum mattresses, Purchase good quality mattress covers for both the mattress and the box spring. Call us at (914) 777- BUGS if you would like to purchase these. Spray common hiding spots with a surface insecticide registered to control bedbugs. Follow the label directions carefully. Do not to treat bedding with insecticide. Your local council can offer information and advice on dealing with a bedbug infestation. A house that suffers from a heavy infestation of bedbugs will have a sickly-sweet odor. This is caused by the bedbug's scent glands. A qualified pest control operator can determine the extent of the infestation, then use registered insecticides to kill the bedbugs. Repeat visits may be necessary to ensure all bedbugs at various stages of the lifecycle have been eradicated. Good hygiene practices, such as frequent house cleaning, should help to prevent any further infestations. Bedbugs are commonly found on beds or mattresses, and feed on human blood. Bedbugs are not believed to transmit diseases to humans.